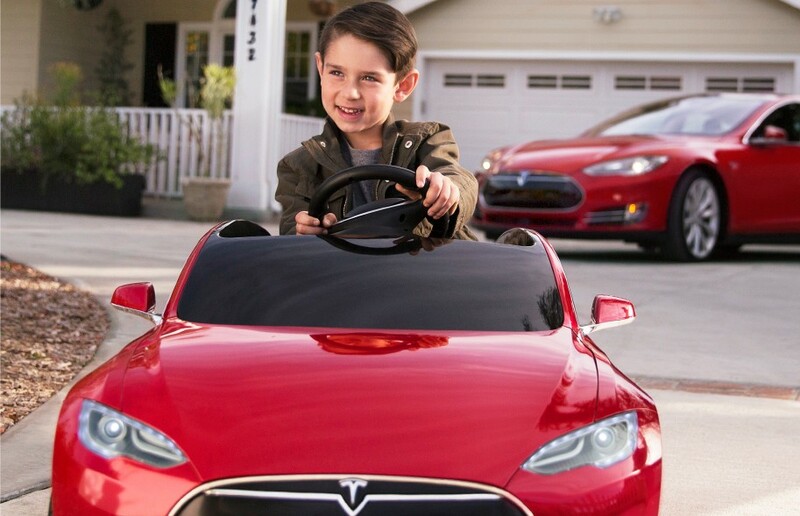 WIN A Tesla Model S for Kids by Radio Flyer! Visit The Bob & Ronna Facebook Page To Complete The Entry Form For Your Chance To Win! Winner Will Be Chosen December 7, 2017 And Notified By Email Or By Phone! Your little one will be thrilled cruising around the neighborhood in this bright red Tesla Model S for Kids by Radio Flyer! Long Range Lithium Ion Battery Providing 3x The Play! This Sweepstakes is in no way sponsored, endorsed or administered by, or associated with, Facebook. 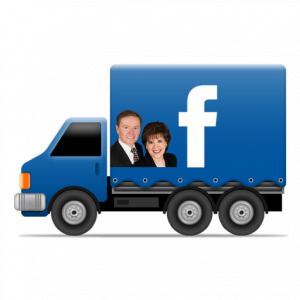 Any questions, comments or complaints regarding the promotion will be directed to The Bob & Ronna Group (Sponsor), not Facebook. The Sweepstakes is open to legal residents of the state of Maryland, where not prohibited by law, who are eighteen (18) years of age or older at the time of entry. Employees of The Bob & Ronna Group, its affiliates, subsidiaries, advertising and promotion agencies, and suppliers, (collectively the “Employees”), and immediate family members and/or those living in the same household of Employees are not eligible to participate in the Sweepstakes. The Bob & Ronna Group has the right to verify the eligibility of each entrant. The Sweepstakes is subject to all federal, state and local laws and regulations and is void where prohibited by law. By participating, the Contestant (“You”) agree to be fully unconditionally bound by these Rules, and You represent and warrant that You meet the eligibility requirements. In addition, You agree to accept the decisions of The Bob & Ronna Group as final and binding as it relates to the content of this Sweepstakes. Entries will be accepted online beginning November 3, 2017, 1:00PM EST and ending on December 7, 1:00PM EST. All entries (submissions) must be received on or before the time stated during that submission period. Entries received after the deadline are ineligible, null, and void. The Bob & Ronna Group will not be responsible for and will not consider incomplete or incorrect entries. The Bob & Ronna Group reserves the right to extend or shorten the Sweepstakes at their sole discretion. The Sweepstakes must be entered by completing and submitting the online entry form provided for on The Bob & Ronna Facebook Page located at www.facebook.com/BobandRonna/. The entry must fulfill all Sweepstakes requirements, as specified, to be eligible to win the prize. Entries that are incomplete or do not adhere to the rules of specifications may be disqualified at the sole discretion of The Bob & Ronna Group. Each entrant grants permission to The Bob & Ronna Group to use this information to offer and improve our products and services, to facilitate your movement through our products and services, and to do a better job of advertising and marketing our products and services. You have a choice about how we use your personal information to communicate with you, and you may opt out at any time by unsubscribing. One (1) Red Metallic Tesla Model S for Kids by Radio Flyer. Valued at $599. Equipped with Spacious Interior, Forward and Reverse, MP3 Sound System, Turbine Rims, Front Trunk, Working Headlights, Working Horn, Long Range Lithium Ion Battery. Suitable for children ages 3-8. No cash or other prize substitution shall be permitted. The prize is nontransferable. Acceptance of prize constitutes permission for The Bob & Ronna Group to use Winner’s name, likeness, and entry for purposes of advertising without further compensation, unless prohibited by law. The prize will not be shipped. The winner will need to pick prize up at the office of The Bob & Ronna Group located at 3410 Plumtree Drive, Ellicott City, MD 21042, M – F, 9am – 5:30p. For any contest related query, you may contact us at BobandRonna@BobandRonna.com or by calling (410) 465-4440. A winner will be chosen at random from qualified entries and will be announced on or about December 8, 2017. Winner will be notified by the form/method of contact they provided when they initially entered the Sweepstakes. The Bob & Ronna Group shall have no liability for Winner’s failure to receive notices due to spam, junk e-mail or other security settings or for Winner’s provision of incorrect or otherwise non-functioning contact information. If a potential winner does not respond to the notification within seven (7) days from the announcement, using the contact information provided at the time of entry, that potential prize winner shall forfeit the prize and another winner may be chosen. Announcement will be made via The Bob & Ronna Facebook Page after the winner has been notified and eligibility has been verified. The Bob & Ronna Group is not responsible for any typographical or other errors in the offer or administration of the Sweepstakes, including, but not limited to, errors in any printing or posting or these Official Rules, the selection and announcement of any winner, or the distribution of any prize. Any attempt to damage the content or operation of this Sweepstakes is unlawful and subject to possible legal action by The Bob & Ronna Group. The Bob & Ronna Group reserves the right to terminate, suspend or amend the Sweepstakes, without notice, and for any reason, including, without limitation, if The Bob & Ronna Group determines that the Sweepstakes cannot be conducted as planned or should a virus, bug, tampering or unauthorized intervention, technical failure or other cause beyond The Bob & Ronna Group’s control corrupt the administration, security, fairness, integrity or proper play of the sweepstakes. In the event any tampering or unauthorized intervention may have occurred, The Bob & Ronna Group reserves the right to void suspect entries at issue. The Bob & Ronna Group is not responsible for incorrect or inaccurate transcription of entry information, or for any human error, technical malfunction, lost or delayed data transmission, omission, interruption, deletion, line failure or malfunction of any telephone network, computer equipment or software, the inability to access any website or online service or any other error, human or otherwise. By entering the sweepstakes, each entrant agrees to indemnify, release and hold harmless The Bob & Ronna Group and the Facebook platform from any liability, damages, losses or injury resulting in whole or in part, directly or indirectly, from that entrant’s participation in the sweepstakes and the acceptance, use or misuse of any prize that may be won. The Bob & Ronna Group does not make any warranties, express or implied, as to the condition, fitness or merchantability of the prize. The Bob & Ronna Group disclaims any liability for damage to any computer system resulting from access to or the download of information or materials connected with the sweepstakes publicity.